Electronic megaphone with built-in microphone. Maximum output of 20 Watt, produces up to 115dB. Comes with built in siren and acoustic signal. 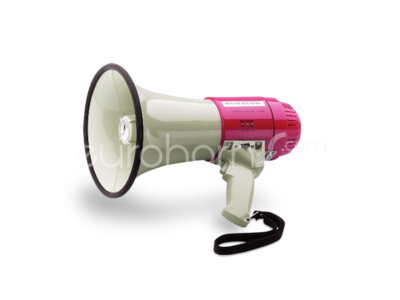 Electronic megaphone with built-in microphone. Maximum output of 20 Watt, produces up to 115dB.